Mattanza is a Sicilian word to describe a seasonal ritual of hunting and killing tuna in the waters around Sicily; it also the term used to describe periodic mafia killings. Noah Glass, an art historian, travels to Sicily and shortly after arriving he begins an affair with Dora Caselli, a colleague from the University of Palermo. Dora’s father and three brothers had all been victims of the Mafia. Shortly after his return from Sicily, Noah Glass is found by his neighbour floating in the swimming pool of his Sydney apartment block, dead of a heart attack. His two adult children, Evie, a bookseller from Melbourne, and Martin, a highly regarded Sydney artist, are devastated by the death of their beloved father. They are also shocked when they called to a police station and questioned about Noah’s role in the theft, in Sicily, of a piece by the sculptor Vincenzo Ragusa. Evie and Martin react differently; impetuously, Martin decides that he has to go to Sicily to discover what happened to their father there. For Evie, the death of her father brings back the death of her mother when she was very young; she didn’t mourn her mother in the way she intensely mourns her father now. Arriving in Sicily, Martin is drawn into a world of veiled malevolence and secrets as he attempts to reconstruct his father’s movements there. The Death of Noah Glass is a superb novel full of sadness and mystery. 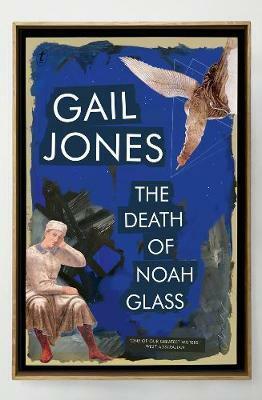 It further confirms Gail Jones’ reputation as one of our great writers.